Time is flying by, and Amazon Holiday Sales Season is right around the corner. Many experienced sellers have already started preparing. But there may be some tips you have missed. And for those that haven’t started yet, it’s not too late. We’re going to share some advice on how to boost sales and finish strong this Amazon Holiday Sales Season. Timing is critical for Amazon Holiday Sales Season preparations. If you’re sourcing from China you will want to place your orders within the next couple of weeks in order to receive your products by the end of October. 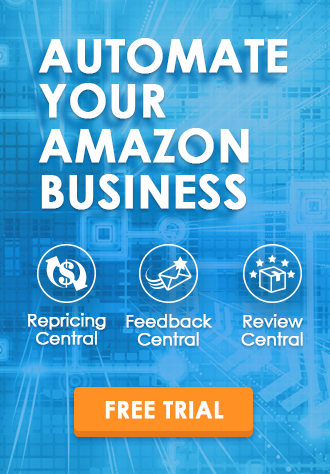 This will leave you with enough time to send your products to Amazon and have products stored and ready before the busiest shopping days. You should mark the important date of Amazon Holiday Sales Season on your e-commerce marketing calendar and decide when to run your holiday promotions. Amazon has an extended holiday return policy, which means that products purchased during the holiday season, whether it’s FBA or FBM, can be returned by the end of January for a full refund. Increased sales might accompany higher returning rate, please watch out your customer satisfaction and your product quality. Learn more about Amazon return policy. You’ve put a lot of time and effort into sourcing, and getting your products prepped and shipped. So you might be hesitant when we tell you to remove products. However, Amazon greatly increases FBA storage fees during Amazon Holiday Sales Season and slow-moving products can quickly rack up huge fees. Amazon doesn’t want slow-moving products sitting in its warehouses anymore than you do so it is offering sellers the chance to remove slow-moving products for free before October 1st. This gives you more time to focus on the all-star products that can help you win more sales. Don’t focus so much on Black Friday and Cyber Monday that you forget about all the other potential sales days. Many shoppers start planning gift ideas in late October or early November. So you’ll want to make sure to start running promotions early. Starting around Black Friday Amazon will start featuring more promotions including Deals of the day, and Lightning Deals. Sellers should run their own promotions to boost traffic and sales. We also recommend running sponsored ads to boost search impressions, boost sales, and increase sales rank, which will help you get even more orders. Running out of stock and waiting to restock can cost you precious sales. Keep an eye on your inventory levels and restock early on if you’re running low. Keep in mind that orders will often double during holiday season. We recommend using BigTracker to track your inventory levels. You can also set inventory alerts to notify you when you are running low. BigTracker can also help you estimate sales which will help you plan the right amount of inventory to stock. Even the most experienced sellers can’t prepare for everything that might happen. Inventory could get lost in FBA, buyers have questions about the product, or your competitors may run a big promotion. It’s important to stay calm and make adjustments as issues come up. For example, if your competitor is running a big promotion you have to react quickly to avoid losing sales. With BigTracker you can monitor your competitor’s best-selling products, sales, and any promotions they are running. This will give you more time to focus on your selling strategy. In case buyers have product questions, make sure to respond as soon as possible. It may sound crazy, but Q4 is a great time to try new ideas. There will be a lot more traffic and you never know what new products might be a hit. Test the waters with new products and start generating sales. 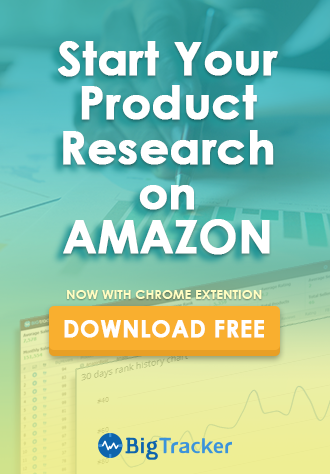 You can use the reviews and buyer response to prepare your product list for next year. You can also use BigTracker to monitor product performance metrics, pricing history, and track product reviews. You can analyze negative reviews to see how you can improve your product. Another tip is to use automated email software like BQool, which will save a lot of time, and help you take advantage of the increased order volume to skyrocket your review count. Finally, before you start sending in shipments, responding to questions, and analyzing your sales metrics, it’s a good idea to read the Holiday Selling Best Practices. If you’re selling in the toys category we also recommend checking out the Guidelines in Toys and Games. Also, don’t forget to spend some quality time with family and friends during the holiday season. Happy selling and we hope you have an awesome Q4!